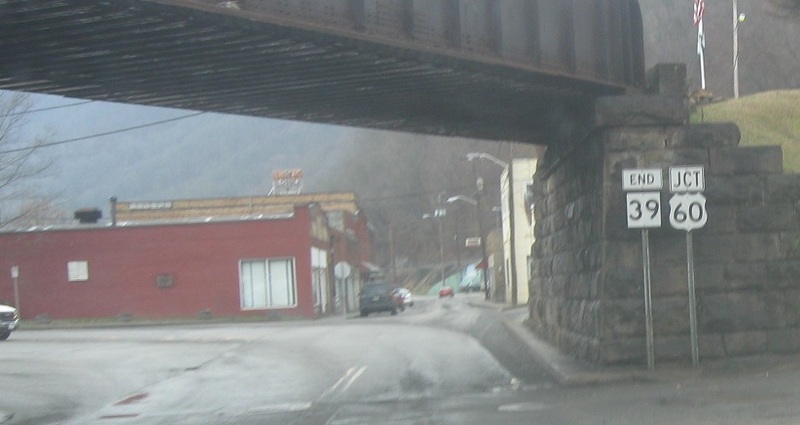 Reassurance shield as 39 joins 16. 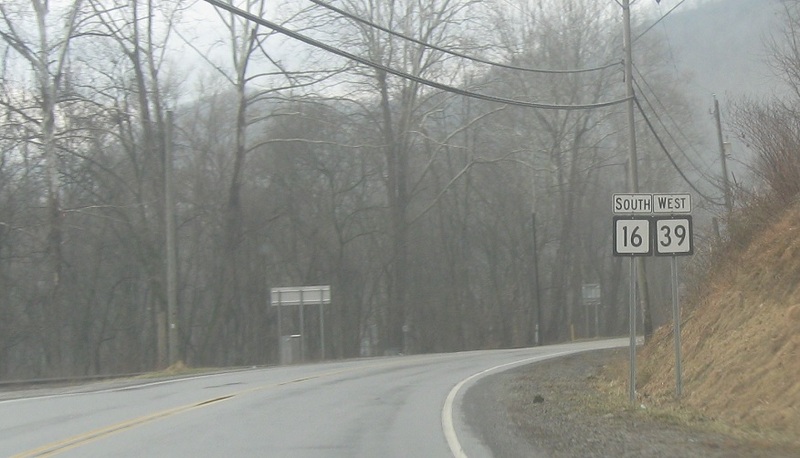 As we drive into Gauley Bridge, we’ll approach US-60. 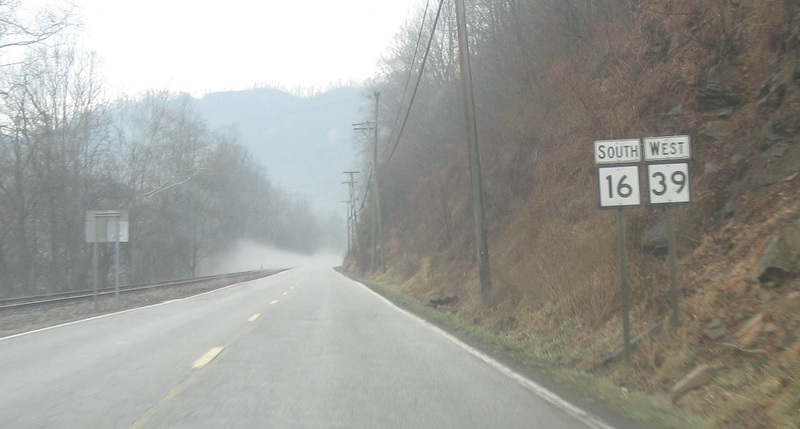 West Virginia 39 ends here at the junction. 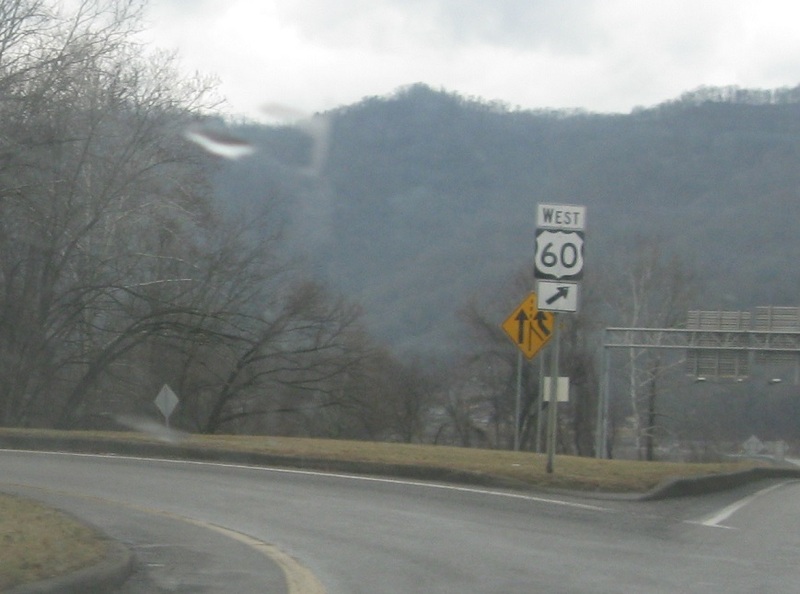 Exit right for US-60 west. 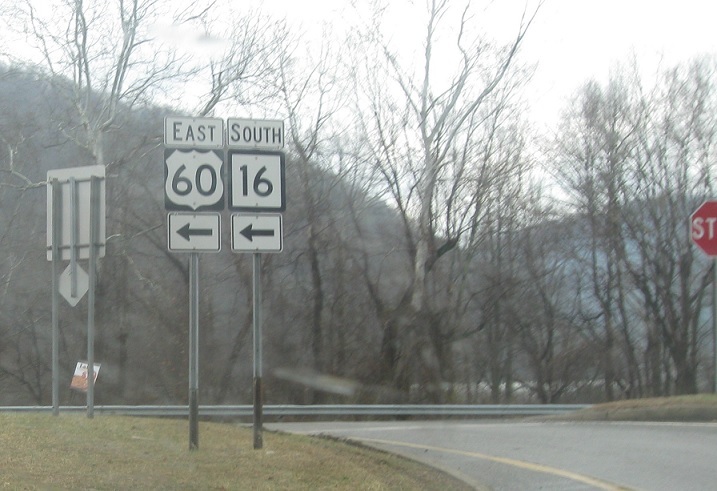 Turn left for 60 west/16 south, which run concurrent for a couple miles.